Neuroblastoma is a malignant cancer (tumor) which originated from a certain type of nerve tissue. This nerve tissue is called the sympathetic nervous system. The sympathetic nervous system consists of strands of nerve tissue from the brains along the spinal cord down into the pelvis. This nerve system controls body functions like blood pressure, heart rate, the activity of the bowel, bladder and other organs in the abdomen. The adrenal glands are part of the sympathetic nervous system. How often does neuroblastoma occur? 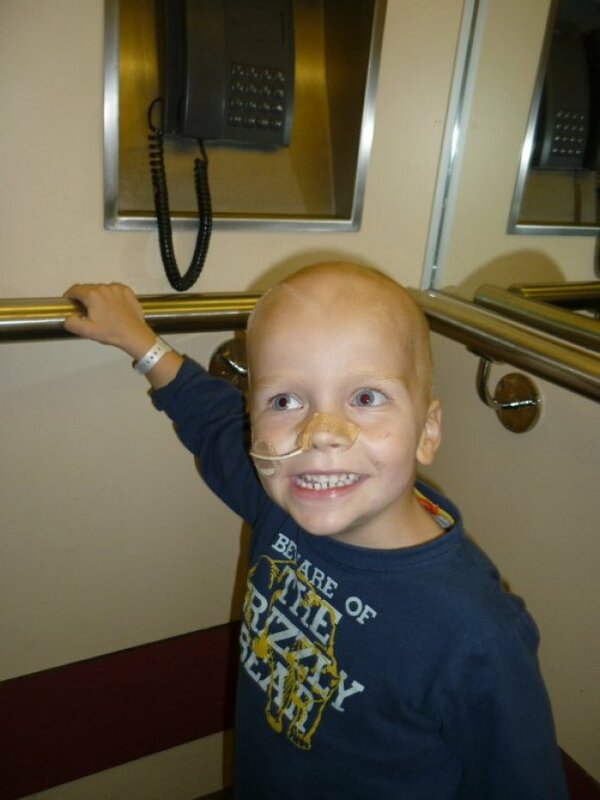 The neuroblastoma occurs on approximately one in 100,000 children in the Netherlands. 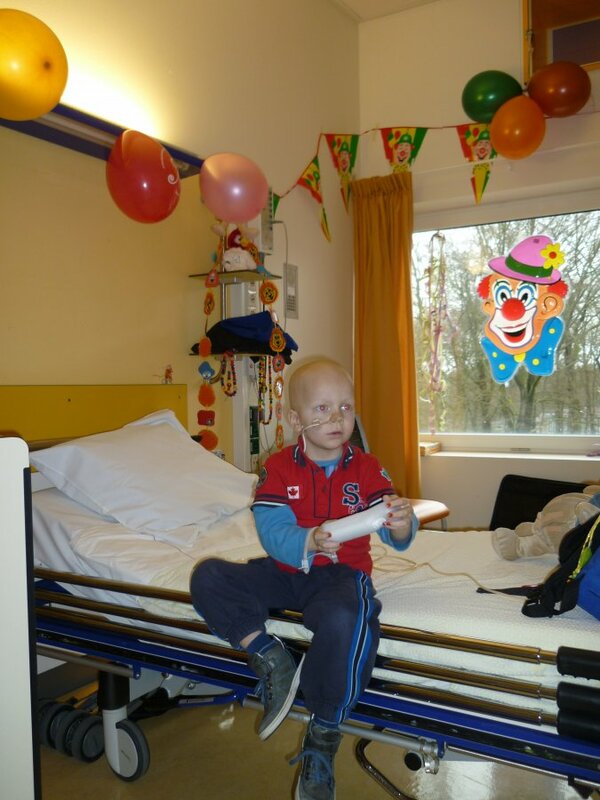 This means that in the Netherlands per year in 25 children are diagnosed with neuroblastoma. The exact cause of the occurrence of neuroblastoma is unknown. Sometime during the development of the embryo in the womb, something went wrong, causing neuroblastoma to originate from normal nerve tissue . During the development of the embryo a lot happens with all body cells. Cells must at some point divide and at another time stop dividing and continue to evolve to the function that the cell will get. This very complex process is driven by certain substances. In children who have neuroblastoma something goes wrong with the management of this process. The cells are located or parts, but they don’t respond to the signal that they need to stop dividing. It is still not known why the cells of a neuroblastoma are unresponsive to the message that they have to stop dividing. 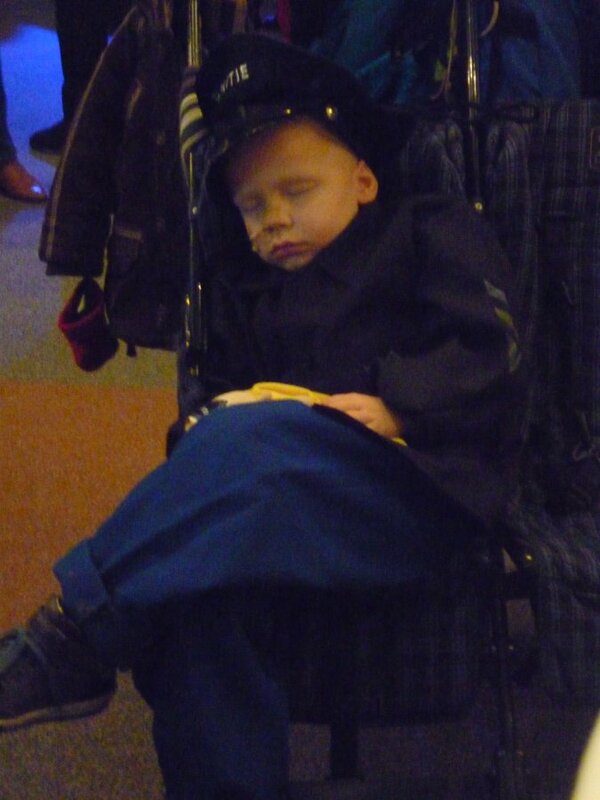 However in the cells of neuroblastoma are often variations in the genetic material found. A certain type of defects are commonplace. How these abnormalities occur is not known. What is the prognosis of neuroblastoma? The prognosis of neuroblastoma depends on several factors. Important factors are the age of the child, the size of the neuroblastoma and the presence or absence of metastases and the extent to which it is possible to remove the neuroblastoma during surgery as a whole. The biology of the neuroblastoma and the extent to which the genetic material of the neuroblastoma has changed are also important for the prognosis. Small neuroblastoma without metastases that can be completely removed by surgery have a very good prognosis, it is almost always full cure. With larger tumors intensively treated, the prognosis is also good, eight to nine out of ten children heal from them. In neuroblastoma with metastases, the prognosis is much worse. After intensive treatment only two to five of the children survive. Five to eight out of ten children eventually die.